Five years ago today (one day after 9/11s fifth anniversary), a soft-spoken, 79-year-old former professor visiting his old university in Germany delivered a speech to a group of academics. In 30 minutes, it was all over. forty-eight hours later, the world exploded. 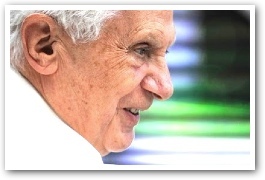 To say that Benedict XVI's Regensburg lecture was one of this century's pivotal speeches is probably an understatement. It's not every day a half-hour lecture generates mass protests and is subject to hundreds of learned (and not-so-learned) analyses for weeks on end. In retrospect, however, we can see Regensburg taught us many things. Leaving aside the response of parts of the Middle East, reactions elsewhere underscored most Western intellectuals' sheer ineptness when writing about religion. One well-known American Jesuit, for instance, opined that Regensburg illustrated how Benedict hadn't yet transitioned from being a theologian to pope – as if popes should only deliver the type of banal poll-tested addresses we expect from most politicians. More seriously, Regensburg shattered the inconsequential niceties that had hitherto typified most Catholic-Muslim discussions. Instead of producing more happy-talk, Benedict indicated that such conversations could no longer avoid more substantial, more difficult questions: most notably, how Christianity and Islam understand God's nature. Regensburg reminded us that it matters whether God is essentially Logos (Divine Reason) or Voluntas (Pure Will). The first understanding facilitates civilizational development, true freedom, and a complete understanding of reason. The second sows the seeds of decline, oppression, and unreason. But perhaps above all, Regensburg asked the West to look itself in the mirror and consider whether some of its inner demons reflected the fact that it, like the Islamic world, was undergoing an inner crisis: one which was reducing Christian faith to subjective opinion, natural reason to the merely measurable, and love to sentimental humanitarianism. The West, Benedict suggested, was in the process of a closing of its own mind. For, in Benedict's view, it's precisely the Christian understanding of God as Logos that opens our minds to their full potential. And this theme was powerfully developed by Benedict exactly two years after Regensburg in a lecture that completely escaped the commentariat's notice. Apparently it's only when you quote fourteenth-century Byzantine emperors that you get their attention. Seated this time before France's cultural elites in Paris, the Pope argued that quaerere Deum (the search for God) – and not just any god, but the God who incarnates Reason itself – was the indispensible element that allowed European culture to attain its heights of learning. The same God who gave man hope of eternal life was understood to be a thoroughly rational deity rather than a willful, capricious divinity. Thus astrology began giving way to astronomy, as humans accelerated their quest for truth, confident that humanity's existence was not the work of mere chance or a master clock-maker, but rather was freely willed by a God who was simultaneously Veritas and Caritas.
. . . the Pope argued that quaerere Deum (the search for God) – and not just any god, but the God who incarnates Reason itself – was the indispensible element that allowed European culture to attain its heights of learning. Quaerere Deum – to seek God and to let oneself be found by him, that is today no less necessary than in former times. A purely positivistic culture which tried to drive the question concerning God into the subjective realm, as being unscientific, would be the capitulation of reason, the renunciation of its highest possibilities, and hence a disaster for humanity, with very grave consequences. Some years ago, another theologian made a similar point, albeit more bluntly: "You cannot assume a rationality and then argue that there is no foundation to that rationality. Either God and rationality go or God and rationality stay. Either Nietzsche or Aquinas, that is our choice." And that, perhaps, will be Regensburg's lasting significance. The lecture that infuriated so many highlighted the ultimate stakes involved in trying to make God disappear, or to regard God as one who regards us as base slaves and demands we do that which is contrary to reason. No Logos, no rationality. Five years later, it's still that simple – and challenging – for all of us. Samuel Gregg. "Benedict at Regensburg: Why It Still Matters." National Review Online (September 12, 2011). Reprinted with permission of National Review Online. The original article on NRO is here. Samuel Gregg is director of research at the Acton Institute. He has an MA in political philosophy from the University of Melbourne, and a Doctor of Philosophy degree in moral philosophy from the University of Oxford, which he attended as a Commonwealth Scholar and worked under the supervision of Professor John Finnis. He is the author of For God and Profit: How Banking and Finance Can Serve the Common Good, Economic Thinking for the Theologically Minded, On Ordered Liberty: A Treatise on the Free Society, and his prize-winning The Commercial Society, as well as monographs such as Ethics and Economics: The Quarrel and the Dialogue, Morality, Law, and Public Policy, A Theory of Corruption, and Banking, Justice, and the Common Good.